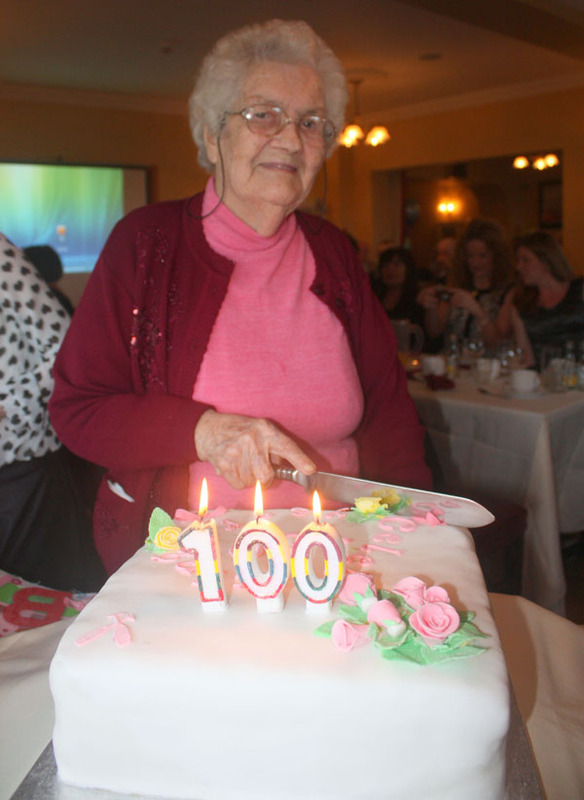 Glentogher woman Mary McCloskey (above) recently celebrated a major milestone when she turned 100. The extraordinary great-grandmother marked the big day at a party in the Strand Hotel, Ballyliffin surrounded by her five sons, 12 grandchildren, 18 great great-grandchildren. Mary was also joined by scores of friends and other family members, some of whom travelled from as far afield as Singapore, the United States, Canada, France, Scotland and all over Ireland. In recent years Mary has developed a wonderful love of knitting and become a fervent reader. She still enjoys a good game of ‘25’, attends Mass regularly, collects her pension every Saturday morning in Carndonagh and visits her son Henry in Malin every evening. Even at the age of 100 she enjoys so much to go for a ‘wee’ drive, on the passenger side of course, to Inishowen Head, Dunree, Malin Head or Inch Island.